The singing bowls made in the traditional way are very artistic metal bowls cast and formed from various metals. Depending on the area of fabrication and religious influences, different metals were used for the alloy. Bowls fabricated in areas where Buddhism was prevalent contain the twelve metals most important in Buddhism. The method for fabricating the bowls has been handed down only partly and by way of mouth; it may have originated from the Bon Po religion prevalent in the Himalayas before Buddhism and been taken over by Buddhism in these regions. Presumably the bowls lost their original importance for rituals in the course of the centuries. There are only a few historical texts that describe the singing bowls and their use and therefore their history remains a mystery. Their use today consists mainly in being a resonance body and sacrificial vessel or everyday dish. They produce a warm, complex and melodious tone with multiple harmonic overtones that allows the brain to let go of occupying and/or stressful thoughts. Through changes in society and technology, fabrication of these bowls by craftsmen in the Himalayas ceased between 1900 and 1940 depending on the area. Therefore antique therapy bowls of really fine quality are more than rare. Often new bowls can be found that neither correspond to the old metal alloy nor are fabricated in the traditional way. 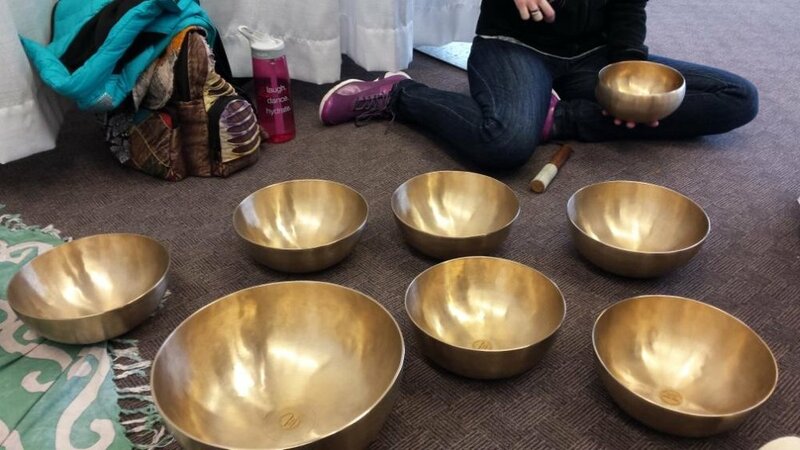 Since the start of 1990 Peter Hess, the founder of the Sound Massage, had been trying to track down the knowledge covering the traditional composition and fabrication of singing bowls. After a few failures he succeeded in early 1997 to revive the traditional fabrication of singing bowls in the old composition of 12 metals. Their intense vibrations reach the deepest cellular levels allowing tense muscles to relax. The alloy is formed into a small disc. This disc is then reheated, hammered and chased into form up to 100 times. This process takes 3 to 5 hours by hand and up to 32 hours to complete. These new singing bowls with the Peter Hess seal of quality produced in Nepal according to ancient tradition, guarantee constant quality throughout.